Microweber is a drag and drop website builder and content management system of new generation. This project is open source and you can download it and use it on your own server for free. The main technologies that we used to develop it is Laravel / PHP Framework. 1) Admin Panel which gives you the ability to edit your website's settings, website structure and pages. 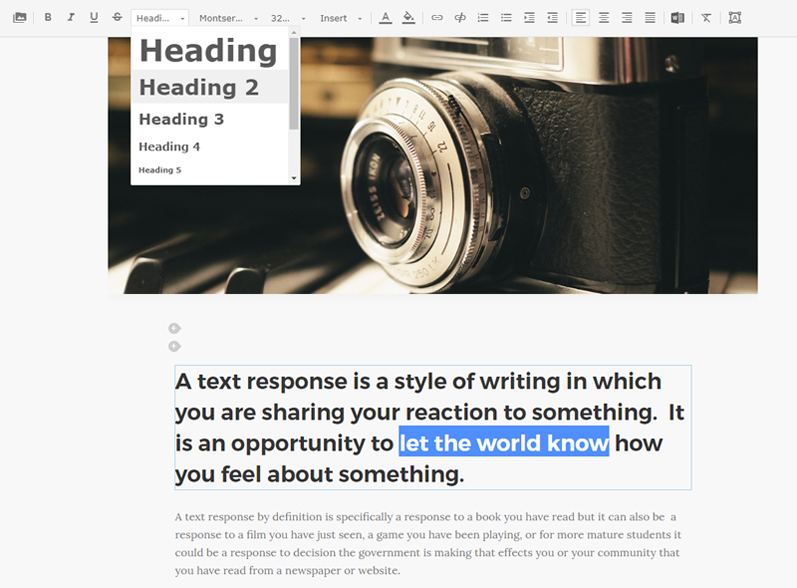 2) Live Edit mode is an interactive real-time pages and content editor. 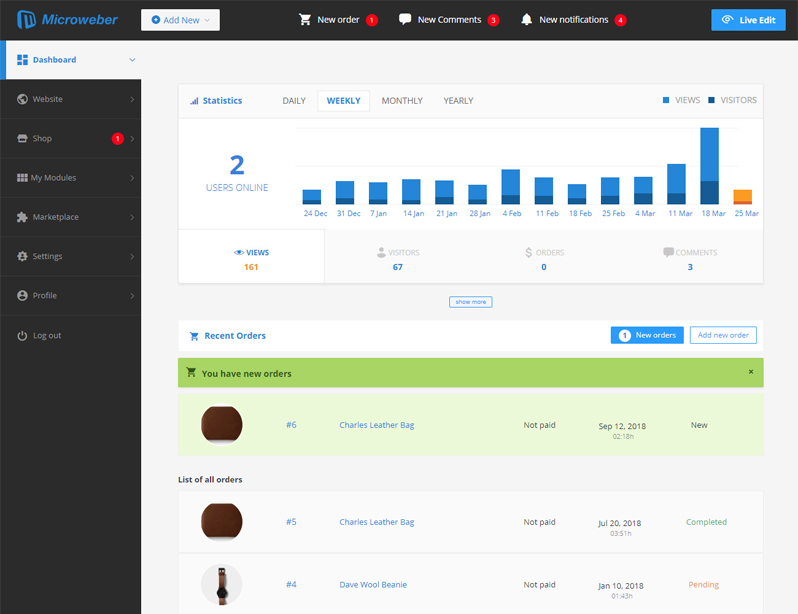 The dashboard helps you to track users statistic, recent orders, comments, e-mails and everything related to your online business existence. 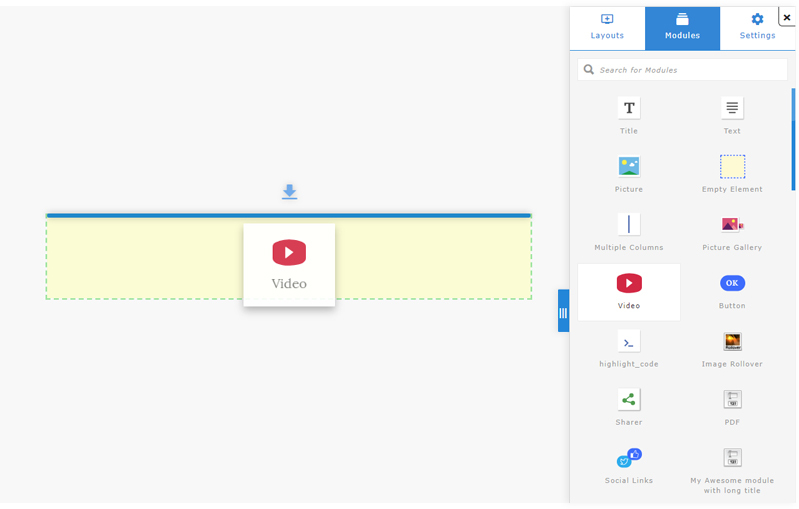 You also have a quick links menu to upload files and check for updates. Read more in Admin Panel section on the menu. We have also powerful website navigation and tree in the Admin Panel which allows you to view and navigate quickly and easily trough the pages, posts, products and categories. Using the website tree you have a full control of your website structure and sitemap. 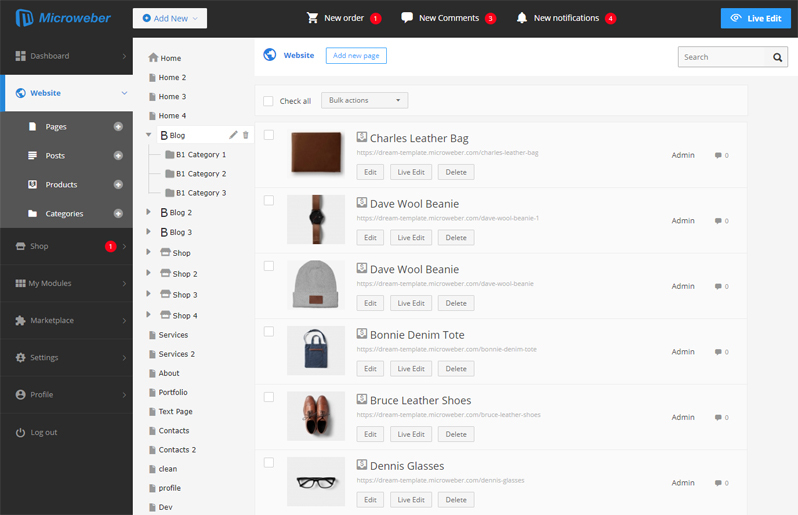 Microweber supports all the required features and components to start your E-commerce business.You can add, categorize and manage products and track orders trough orders section using your computer or smart phone on the go. The admin panel is responsive and optimized to give you a great user experience when used through smart phone devices. The live edit mode is the interesting part of creating a website or content management. The unique drag and drop technology that Microweber has makes website building easy and pleasant task. No codding skills required, by using your mouse you can sort the page you want in the way you want. You can write text in real time with Microweber live editor in a very simple way eliminating redundant fields and complex process of website hierarchy and content management. Use the Microweber WYSIWYG text editor for full control of your text design and decoration. There is two ways to do that; once you select the text the small editor upper to the selection for quick edit. If you need the full set of option required for working with text, you can use the top menu. It is upper only when you work with text or make text selection.